Recently, I mentioned about my Memphis-based friend, Jeremy Horn, and a free 6-song EP now available at NoiseTrade. He is a songwriter, penning songs that are both worshipful and catchy, making it easy to introduce into church gatherings. Well, I gotta new one to let you know about. My Aussie-based bud, Ben Webb, who spent a year and a half here in Brussels, has just released a new (and FREE) 4-song EP on NoiseTrade as well. 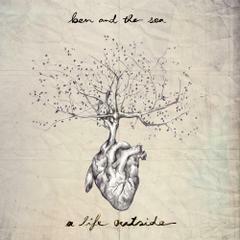 The name of the band is Ben and the Sea, and the name of the EP is A Life Outside. The acoustically melodic sounds will draw you in. Check it out at NoiseTrade. Remember, it’s FREE! This entry was tagged audio, Ben Webb, free, music. Bookmark the permalink.